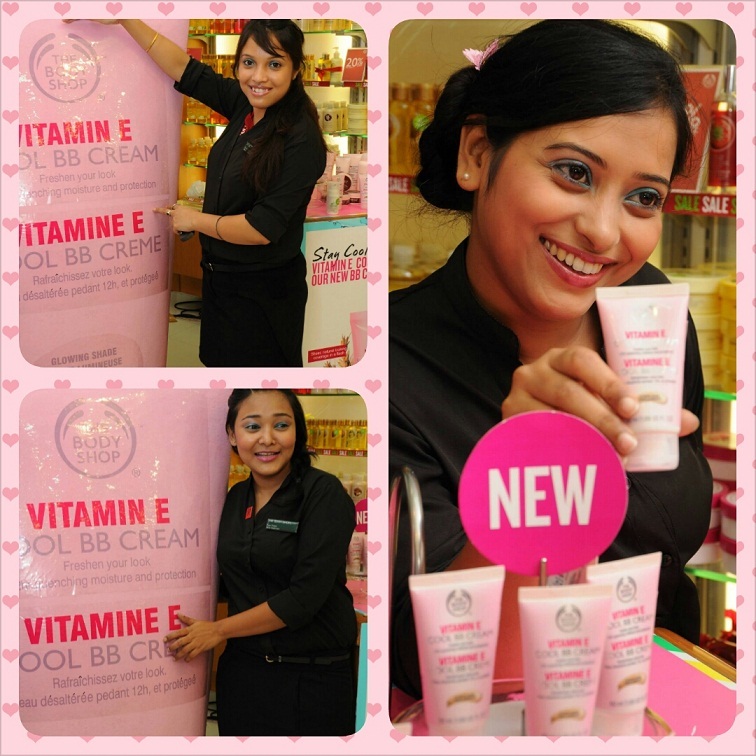 The Body Shop Vitamin E Cool BB Cream. 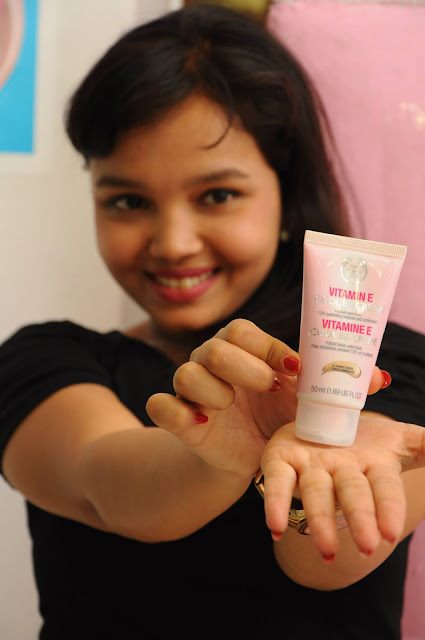 This is the 3rd BB cream from The Body Shop for Indian market. The other two could not work for my shade so, I never got them. This one belonging to Vitamin E range is living up to the reputation of being creamy and thick. But, it comes in only one shade. 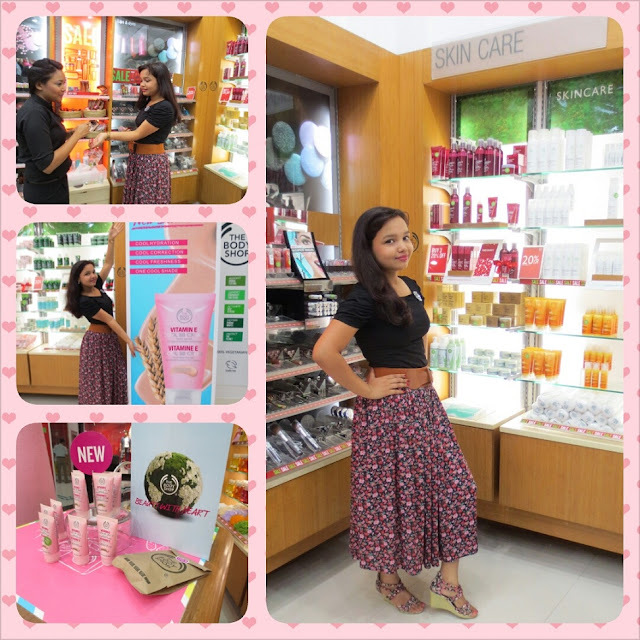 It is priced at 995 INR. Just wait for few days to know in my review if it is worth the price. Until, my review, enjoy the pictures. But, I must say I went overboard with the PhotoGrid App. See how the skirt is the exact match of the shoes? People always asked how I end up matching them up. Discovering them was serendipity. I had the shoes with me for a month and the skirt was brought in a jiffy. When I reached home, I discovered the match. I call this my Marry Poppins outfit. 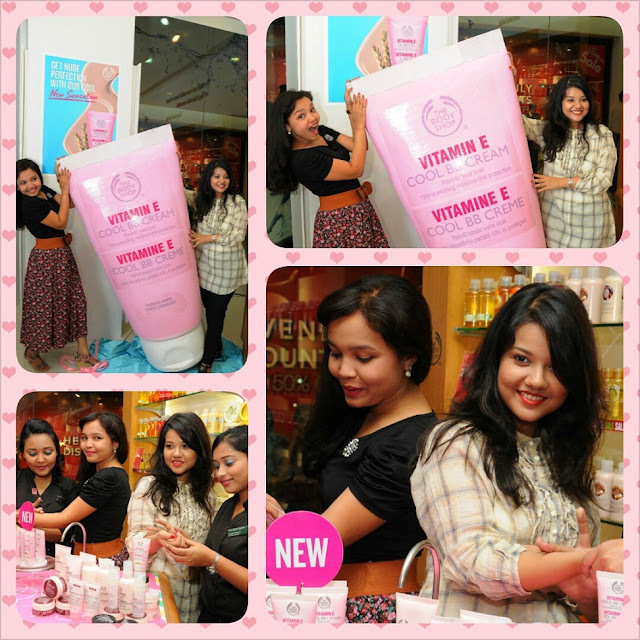 Nivedita and me trying the BB cream and playing with the huge tube! 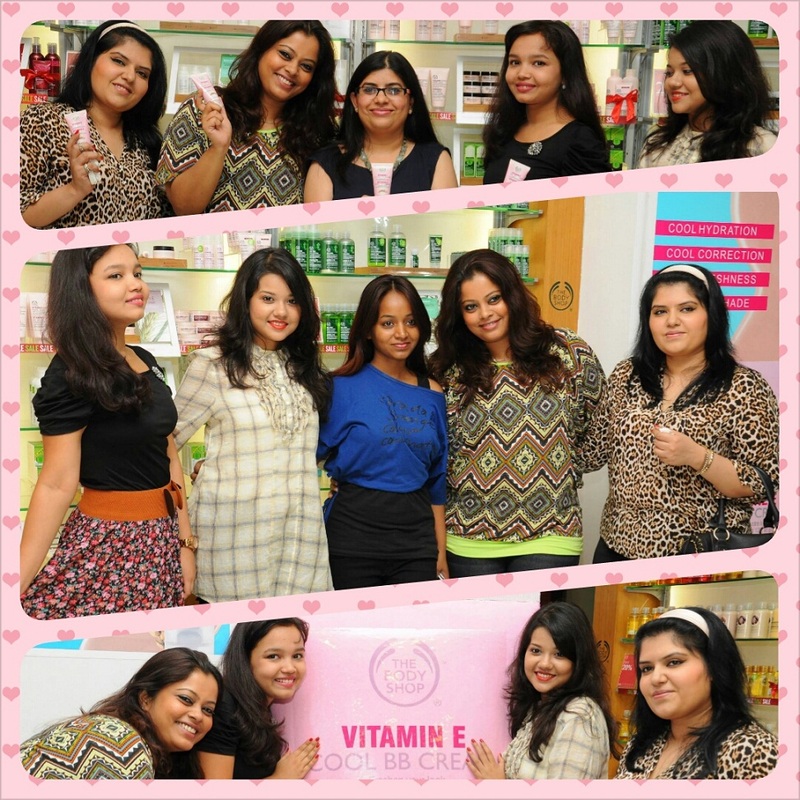 Middle - Me, Nivedita, Lavli, Dolon, Shikha. A Great Discovery - Free of Cost! !